Chicago Teamsters consider strike at UPS | Fight Back! 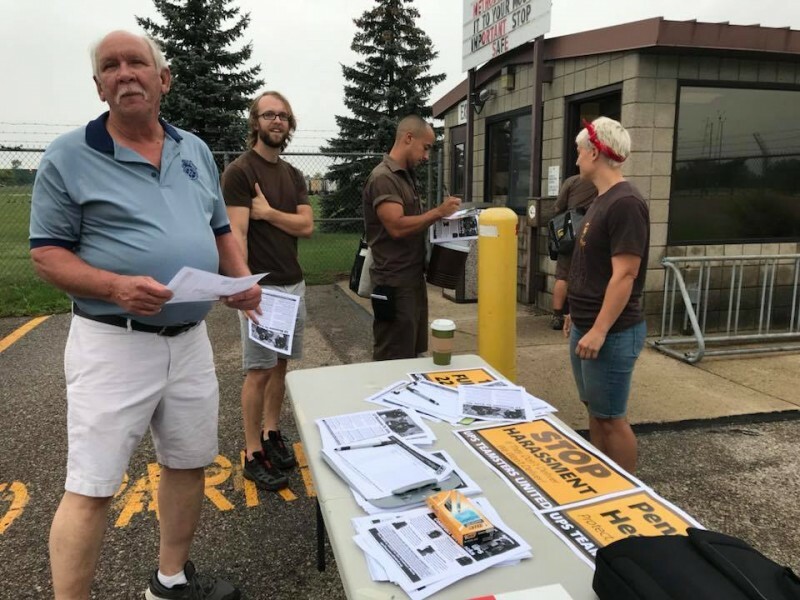 Chicago, IL - Thousands of Chicago-area Teamsters may be holding a strike vote as early as November 1 as negotiations drag on between Teamsters Local 705 and United Parcel Service. Summoning every UPS Teamster steward and bargaining committee member in the local, Oct. 12, Teamsters 705 Secretary-Treasurer Juan Campos told a packed auditorium in Teamster City that the union is prepared to take on 22.4 language and retiree benefits, among other issues, and if the company cannot come to a tentative agreement on these issues, Local 705 will revoke a contract extension that has been ongoing since August 1, 2018. The crowd in the auditorium was enthusiastic and unified. One of the only independent Teamster/UPS contract in the country, members of Local 705 witnessed General President Jimmy Hoffa Jr.’s undemocratic ratification of the National Master UPS/Teamster Agreement, which was voted down by 54% of the voting members despite intense campaigning by Hoffa and the company. Teamsters 705 represents around 8500 Chicago-area UPS workers. A major transportation hub, the UPS Chicago Area Consolidated Hub, just one of many UPS facilities in Chicago, sorts nearly 1.6 million packages a day. With the holiday season fast approaching and a national shortage of drivers, Chicago Teamsters have some significant power should they have to strike.